Movie: "Boy and the World"/"O Menino e o Mundo"
A little boy travels the country searching for his father, encountering many adventures along the way. 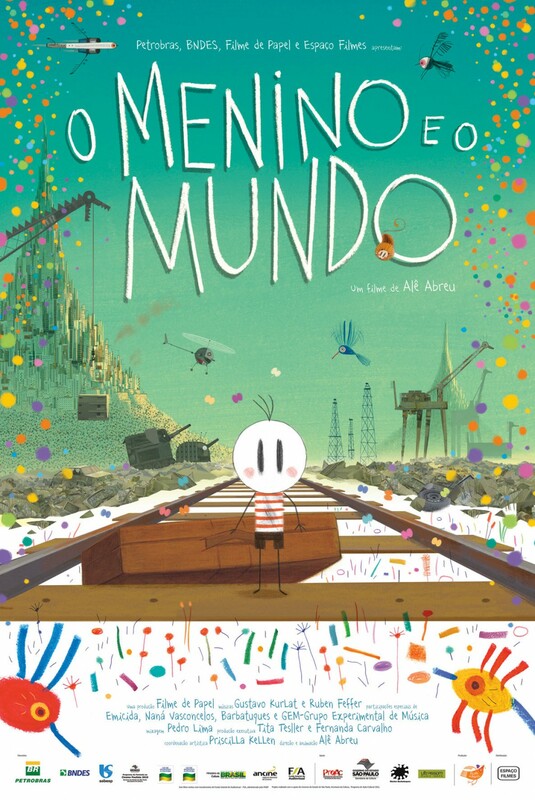 It's really hard to describe a film like Alê Abreu's "O Menino e o Mundo," or "Boy and the World" in English. It is almost like an animated ballet, poetic yet left open to interpretation. This movie is entirely driven by music and visuals as a cacophony of musical notes and tunes interweave with a barrage of colors and feelings crafted to be both simple and complex at the same time. There is no coherent dialogue, and the only 'words' spoken are what we believe to be some type of gibberish. We hope this is the case because we do not speak Portuguese and there were no subtitles during our screening. The film is simply yet beautifully drawn, like a child's drawing coming to life, with many bright and vivid colors on full display from the second the movie starts. What starts as a story about a boy who seems to be searching for his father quickly morphs into something much more meaningful. 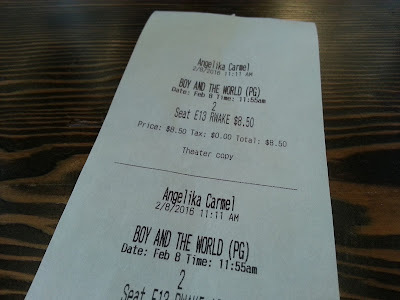 There appears to be a larger, more heavy handed political message entwined in the very fabric of "Boy and the World." There is a lot of metaphorical imagery about the technological revolution as the story shifts from a simple family affair into a powerful tale about how humans are being replaced by machines within the manufacturing industry. As the boy searches for his father, going from one place to the next meeting a slew of interesting characters, messages about commercialization and a pop culture, multi-media driven society vibrantly and repetitiously fill the screens of TVs and billboards everywhere. As he travels down hills and up stairs, there are some moments that seem to speak of a literal military revolution and possible coupe, though we fear we may be ignorant to any possible news about this coming out of the motherland of "Boy and the World," Brazil. Machines look like animals, and animals look odd, too. Nothing is what it seems here, and if you heed this message, it will all makes sense once the film is done. As we mentioned, a large majority of this movie is left open to interpretation by the audience. In some instances, it sort of feels like the kind of movie that would be best experienced while on some kind of mind-altering drugs because it almost seems like it was developed while on mind-altering drugs. The next moment seems completely clear until it isn't. It's this mix of clarity and complexity that makes "Boy and the World" as much as film as it is a political art piece, targeting what seems to be film students and film critics directly. Unfortunately, we don't see it holding much mass market appeal. If it weren't for its Oscar nomination for best animated feature film, chances are, this movie would have gone unnoticed for us. One year ago, we were watching: "Hot Tub Time Machine"